An intercontinental campaign full of fast paced, geo-political, international espionage! Engaging, immersive quick time events! Evil Russian warlords sending insurmountable waves of masked insurgents to face a lone soldier’s justice! Oh wait… No. This is nothing like that. 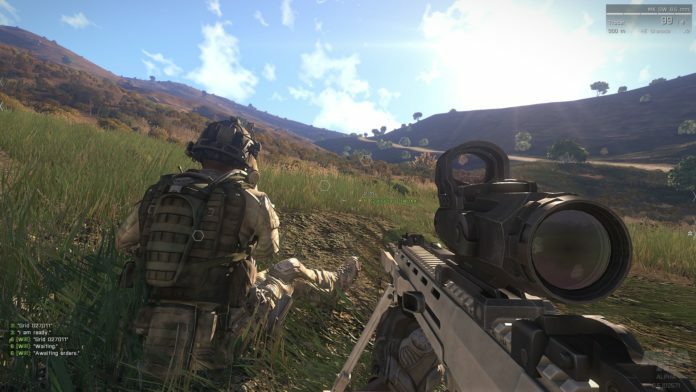 Bohemia Interactive is gearing up for the next installment in their ArmA franchise with ArmA III. I’m a bit of a foreigner to the elite PC realm, but I was introduced to ArmA II a few months ago and was taken with its incredibly difficult and detailed, albeit buggy, gameplay. In a gaming market where first person shooter seems to be a synonym for hyper-violence, I was immediately taken with how the player takes a role in a battle that is truly out of their hands. Skirmishes develop out of the player’s control, civilians factor into combat decisions, the world moves dynamically around the player who is just a mere individual within a greater scheme. Forget about running and gunning, combat makes for tense moments and demands use of tactics against enemies who aren’t ashamed to put you down in a hurry. And although ArmA II’s certainly looks a bit dated, it hasn’t held the 2009 title from encouraging Dean Hall, a Bohemia dev, from feeling inspired to make a zombie mod within the realistic world of ArmA. His intention was for the player to “feel some real human emotion”, and within the grounded, realized confines of ARMA’s gameplay feels like a genius combination of elements. With over two hundred thousand unique players in the DayZ mod to date, the development of something similar within the upcoming ARMA III seems inevitable.